If either party in a commercial lease agreement (or private residential lease) breaches the agreement each party has the right to sue the other. However, these rights and other legal remedies may be limited by the terms contained in the lease itself. For example, if your lease contains a mediation or an arbitration clause, you may be required to seek arbitration before being allowed to file a civil claim. Some arbitration clauses are binding and prohibit your right to file a lawsuit against your landlord. If you do sue your landlord, the matter will be handled in civil court. Civil cases are easier to prove than criminal cases, but you still should consider hiring an attorney who specializes in business law or tenant-landlord relations. You cannot sue your landlord just because you do not like him/her or have a minor grievance. To hold your landlord accountable for something he/she has to have breached your agreement or caused you or your business harm in some way. There are some exceptions. If you tripped and were seriously injured on a commercial property due to the negligence of the landlord or property owner (i.e., the owner/landlord failed to remove ice or snow or repair substantial cracks in a sidewalk) you may still be able to file a personal injury claim. This type of claim, known as "premises liability," is also handled in civil court is unrelated to the terms of your lease agreement and can be filed by anyone injured on an owner's property whether or not they were leasing space. It is fairly common for agreements, including commercial and residential leases, to contain arbitration or mediation clauses. This means you agree that if there is a dispute between you and the landlord you will first try to resolve the conflict outside of court. This is usually a good thing for both the tenant and the landlord as long as it does not state that you totally forfeit your rights to sue if an agreement cannot be reached. These clauses should name a specific mediation or arbitration company - not an individual. The arbitrator should be neutral and not someone affiliated with the landlord or their representative who will serve only the best interest of the landlord. Even if your lease does contain an arbitration or mediation clause, you should still consult an attorney before attempting to resolve the conflict on your own. In some cases, if a landlord was negligent in some significant way, you may still be able to pursue a civil claim, and even with a mediator, chances are good that your landlord will still show up with an attorney. 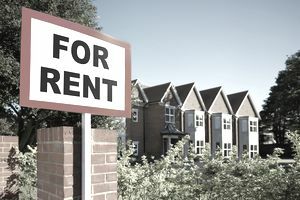 It is important to understand that if your landlord breaches your lease agreement you generally cannot sue for tort damages (i.e., what laypeople commonly refer to as "pain and suffering.") Only in the case of certain types of conduct or "bad faith" is there a possibility of suing a landlord for tort damages. You would have to prove that the actions of your landlord caused you some sort of harm (or, a tort.) Otherwise, you most likely can only either get out of a lease or be awarded reimbursement for costs you had to shell out that your landlord was required to pay for repairs or improvements. Even then, there may be limitations if you acted without giving your landlord reasonable time to fix a problem. In other words, your landlord is protected against you taking matters into your own hands to fix or alter something on the property and then simply insisting the landlord reimburse you for the expense. Suing your landlord is rarely profitable (you won't be awarded millions for your troubles), but you may be able to get reimbursement for certain expenses, or refunds on rent, or have the lease rescinded so you can move your business somewhere else. It is important that you never sign a lease with the idea that if there is trouble, you can just take a bad landlord to court and win. It is always better to sign an agreement you understand and are comfortable with and only with a landlord you feel you can trust. If you are not familiar with the terms of your lease, don't trust your landlord to explain them to you. In fact, the landlord might not even understand all the terms and it is not an attorney who can represent your interests. If you have questions, talk with your own lawyer, or someone who is familiar with commercial leasing that is not associated with the property owner or landlord. When it comes to leasing, the term "buyer beware" applies as "renter beware." The best way to protect yourself from getting stuck in a long-term lease is to get legal advice before you sign on the dotted line. Disclaimer: This article is intended to be used for general information purposes only and should not be considered legal advice. If you have a tenant-landlord, premises liability, or other legal question, please consult a licensed attorney.